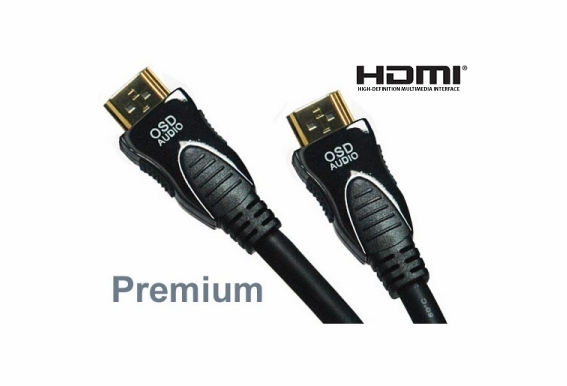 High definition TV monitors deserve premium high-speed HDMI cable with Ethernet from Outdoor Speaker Depot. 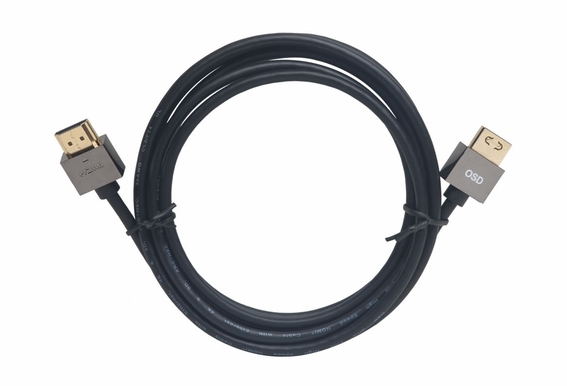 This 6-foot OSD premium cable will bring superb clarity to new digital optical disc data storage monitor formats like 3D and 1440P. It connects easily to Blu-ray players, A/V receivers, HDTVs and set-top boxes. 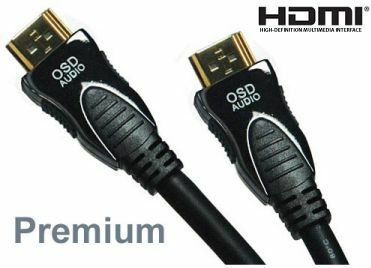 In fact, our OSD-HDMI will support standard, enhanced or HD video plus your multi-channel digital audio on a single cable. What's coming next in enhanced video formats? 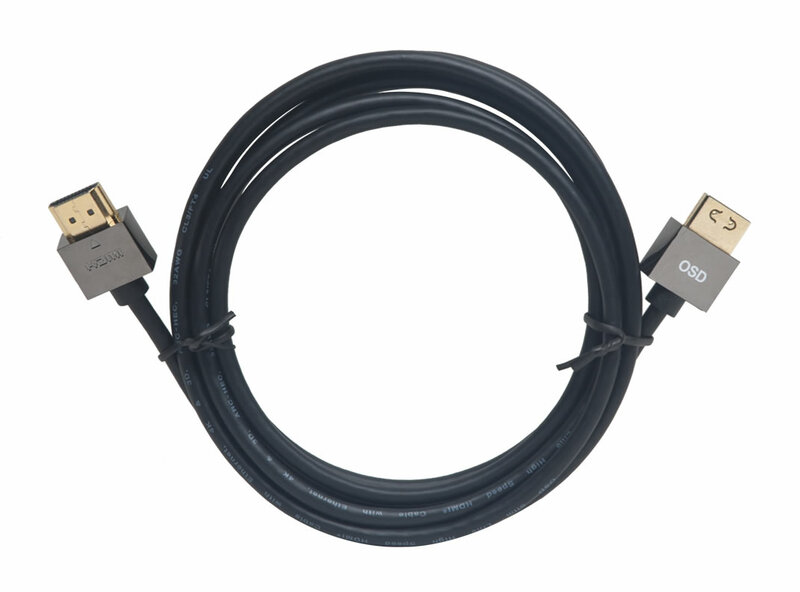 This cable has extra bandwidth built in to accommodate future developments in A/V technology. Here's what makes our cable so exceptional. It's made of 100 percent pure copper wire with black nickel-plated metal housing and custom-molded copper shield housing. The contacts and internal shield are plated with 24K gold. The high-density triple-layer shielding is for maximum noise reduction. The nitrogen gas-injected dielectric is for maximum signal strength. Plus, this environmentally friendly cable complies with RoHS (Restriction of Hazardous Substances) standards. At our guaranteed lowest price, it's time to get rid of those outdated cable connections. Are the cables 2.0, 4:4:4?